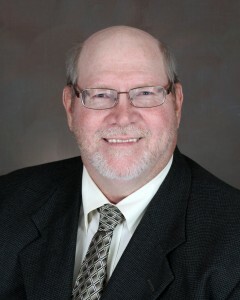 Mark Hagedorn is the Eau Claire County UW-Extension Agriculture Agent. Mark received his M.S. degree from Iowa State University which focused on Animal Science and his B.S. degree in Dairy Science from Northwest Missouri State University. If a good corn harvest has provided more corn than you can handle, then selling some to another farmer may be an option. The question is, what is it worth per ton if sold as is and how do you adjust for moisture. UW-Extension has conversion charts available for shell and cob corn at various moisture levels and price. Go to cdp.wisc.edu/Decision%20Making%20Tools.htm to find a spreadsheet for equivalent price per ton of shelled corn and ear corn. Fall is the best time sample soils for fertility needs and plan for the 2012 crop season. Soil testing is a basic management tool which can provide critical information for crop performance and profitability. Knowing what nutrients your crop needs and doesn’t need will help you manage your fertilizer dollar. For information on proper soil testing techniques go to soils.wisc.edu/extension/pubs/A2100.pdf Since soil tests are good for four years and based on five acre sample size costing about $7.00 per sample, the cost for soil sampling is about $0.35/acre. Looking for a good crop publication that has a lot of nutrient related information right at your finger tips? Then check out Nutrient Management Fast Facts. This publication has fertility, nutrient and manure credit information as well as crop nutrient removal estimates.